The band ‘Meshuggah’ pioneered the progressive metal scene many years ago, with their innovative musical style of irregular song structures and rhythmic polygons. Members from the two bands ‘Periphery’ & ‘TesseracT’ were heavily influenced by these “polygon gods”, hailing from Sweden, and brought djent to life as a whole new “genre”, spawned purely from the guitar sounds from Meshuggah. Since then the djent movement has been flourishing, and is almost an unstoppable force giving birth to other top prog/tech bands like ‘Uneven Structure’, ‘Skyharbor’ and ‘Animals as Leaders’, just to name a few. Two years ago, in 2010, I finally had the pleasure to put my hands on Periphery’s self-titled full length debut. My feelings were mixed up at that time. I had a soft spot for the technical skills perfectly illustrated by this band, which were totally mind-blowing and almost exploded my head off my shoulders. Still they didn’t nail it with that album. The monotone melodies and the vocal performance by frontman Spencer Sotelo, sounding like an angry teenage boy, killed and almost buried it deep down the earth, but that was then. What has happened since the debut? Let me summarize it. Frontman Spencer has grown a beard (…more on that later), Periphery has changed label company, and throughout 2011 Periphery was direct support to the legendary prog “institution” Dream Theater on their European tour. Two members (Alex Bois on guitars & Tom Murphy on bass) left the polyrhythmic flagship from US, and have since been replaced with new flesh & blood. Now Periphery has returned and unleashed a new full-length album, the sophomore release entitled ‘Periphery II’, and maybe this will be their breakthrough and give them the well deserved recognition on the international metal scene. Only time will tell if they can slaughter “Justin Bieber” on the charts. My fingers are crossed. 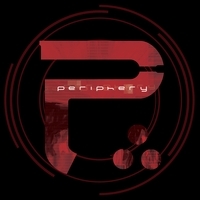 In 2010, Periphery released their debut release to the metal masses, followed up by Icarus (EP) in 2011, that received outstanding reviews for its high quality production and the improved vox by Mr. Sotelo. The line-up on this second album is almost intact since the 2010 debut, and the sextet is now the guitar virtuosos Misha “Bulb” Mansoor & Mark Holcomb & Jake Bowen, the screaming Spencer Sotelo, Adam “Nolly” Getgood on bass, and last but not least Matt Halpern on drums. The collaboration between Dream Theater and Periphery has apparently paid off, and now John Petrucci is also making a guest appearance on the new album with some impressive guitar solos for the song “Erised”. Fourteen songs will guide your mind through a portal to an ambient landscape of total mayhem running one hour of playing time, and the entire track-list is perfectly arranged with each song flowing into each other very nicely. The musical journey starts with the opening song ‘Muramasa’, and already from the beginning it shows that the band has evolved dramatically. The ninth song “MAKE TOTAL DESTROY” encapsulates the album as a whole of all tracks on the album. It’s not on my favourite list, but it’s the most representative song of the vibe used throughout the album. It’s a bag full of melodic passages, odd rhythms, tempo changes, aggressive guitar riffs and the shining vocal performance by Spencer. This is the new video of "MAKE TOTAL DESTROY" on YouTube. Give it a run! So let’s talk about the crew. Spencer’s beard has grown and so has his singing style. His vocal is emotional and almost as dynamic and complex as Misha’s polyrhythmic acrobatic tricks, jumping fluidly and rapidly between clean, scream and growl. Misha and his two wingmen on guitars are also delivering some very impressive and brutal technical guitar riffs, which will slap your face from left to right with lightning speed making your head spin around. Maybe the use of electronica sounds is at times flooding the musical landscape, but it’s still woven perfectly into the layers of aggressive riffs and complements it beautifully. On this album all team members have collaborated and it shows musically. This is more like “Periphery the band” and not just a one man show by Misha. This musical journey has been an endless cycle of listening for me. The album has so much to offer with its uncountable flavors and juiciness and has succeeded in gluing my ears to the speakers for many hours of listening. I was blown away on the first ride, and on each run the songs are growing on me becoming more solidified in my mind with their own identity. 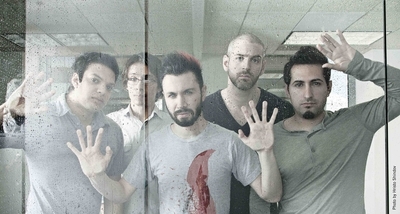 Rumors are flying about another album to be released by Periphery called "Juggernaut", a concept album. If these are true, prepare yourself to dig into your pocket, but it'll be worth every penny, if it’s travelling the same path as this album.